Are Dandelions safe to eat? Dandelions are an edible plant, and all of the plant (except for the fluffy bits – trust me on that) can be used for a range of dishes and drinks. 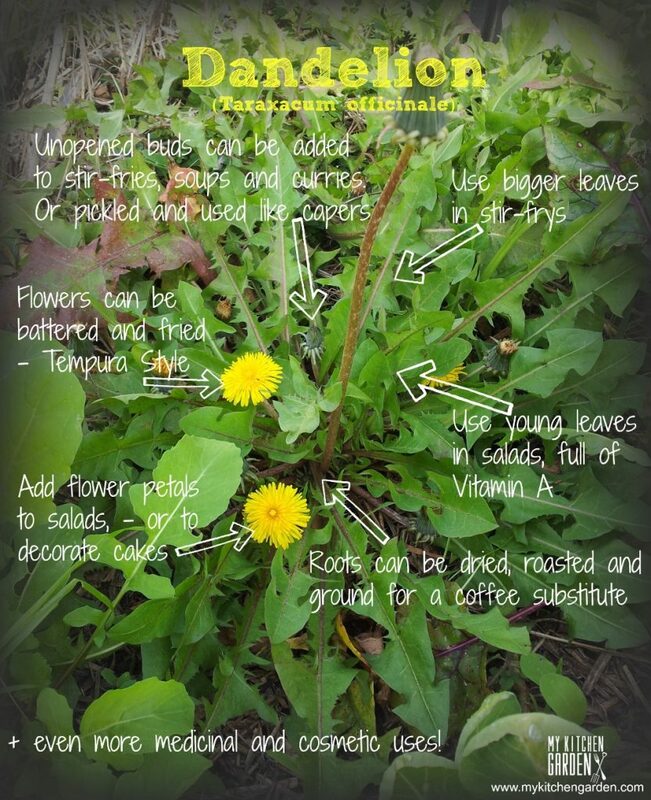 I’ve had a few people asking if Dandelions can be eaten – and the answer is YES! In fact, I am quietly betting that someone very soon will realise that Dandelions are very good to eat – and they might be the next Kale! They have all the properties of a “super food” and will start getting some more attention by health coaches soon enough. Dandelion leaves are rich in vitamins A, C and K, and are good sources of calcium, potassium, iron and manganese. Dandelion leaves can be eaten raw or cooked, and the flower buds, petals, and roots can all be used in various ways. Do Dandelions have any side effects? 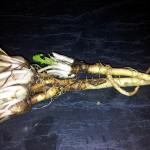 Dandelions roots are a diuretic. That means that consuming Dandelion can make you go to the toilet. A lot. In fact, Dandelions are called pissenlit in France – which literally translates as “wet the bed”. Well, in the spirit of learning I had a go at this. 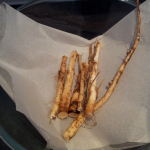 The roots were washed, slowly roasted, then ground up and added to hot water. The result was OK – but I think I will only do this again if there is some sort of apocalyptic event that impacts on coffee supplies. In which case, I would probably switch to mint tea anyway. After slow roasting, they are dried (would snap like twigs). Ready for grinding. 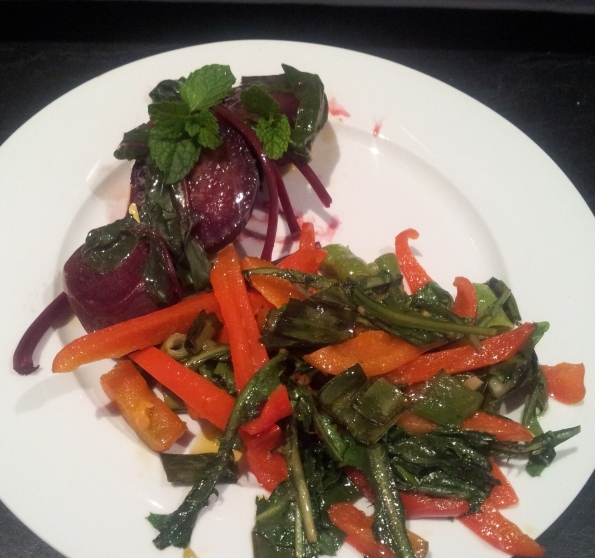 Have you tried Dandelion greens? Please let me know in the comments below if you are going to try it – rather than throwing it away. When I was a child in Ireland we called Dandelions ‘wet the beds’. Also,my favourite drink, when I was in Halaifax Yorkshire,was Dandelion and Burdock . This was a soft drink made by a local company. My mother-in-law always served it with the Sunday roast. ??? ?